This week is standardized testing week at school and the kids have been working really hard on these tests. I am trying to keep up the morale by doing some fun activities with them. I am tricking them into learning! They think we are just reading a story book and laughing, but OHHHHH boy are we learning! 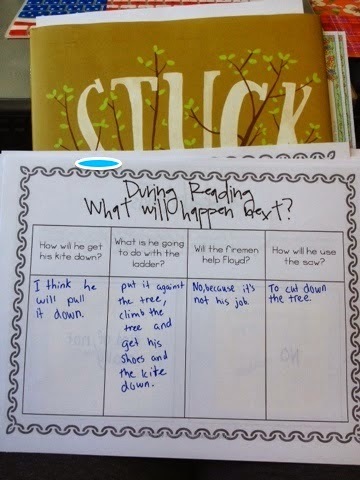 I read the story Stuck by Oliver Jeffers aloud. The Amazon link is below if you are unfamiliar with the book. Check out my TPT store to purchase the products shown below! 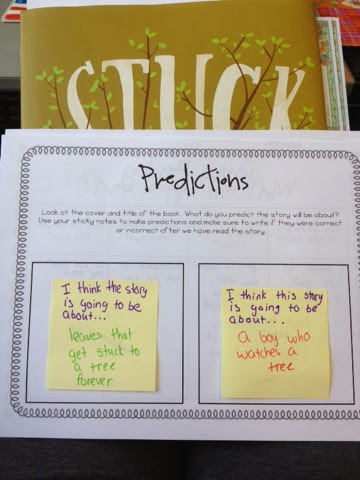 The students got two sticky notes and wrote predictions about what they thought the book was about based on the title and cover alone. 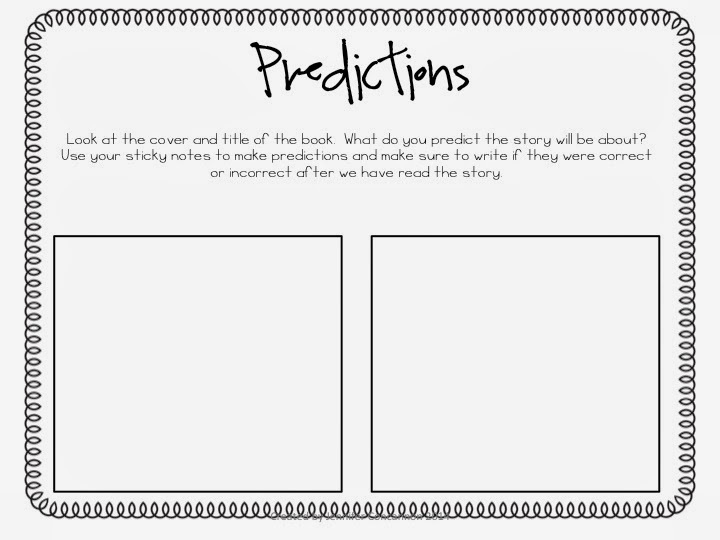 After they finished writing their predictions we actually read the story aloud. As we read I paused for them to fill out this sheet continuing our predictions. You can see the book in the background with the pages marked for me to pause on and the filled out sheet in the front. The kids loved the story! It's a cute read and its ridiculously funny. It was a great break during testing week. It is still learning, but they are having a lot of fun with it. Next, I want them to think critically...get those brain juices flowing. They have to list at least 5 items Floyd could have used and why it would work. 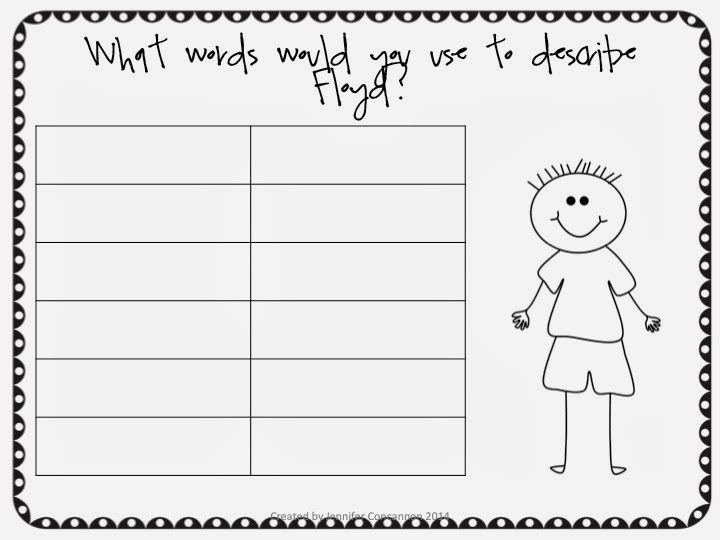 Then we discussed character traits and listed some for Floyd. 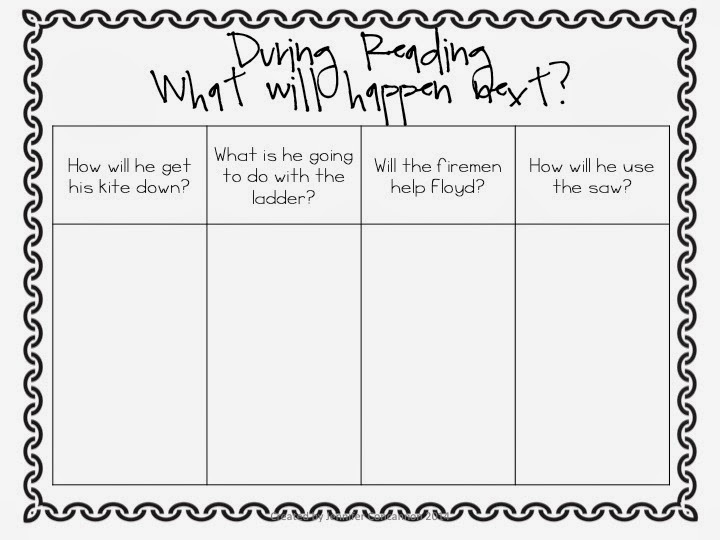 This leads in to the beginning stages of the students writing their own stories. 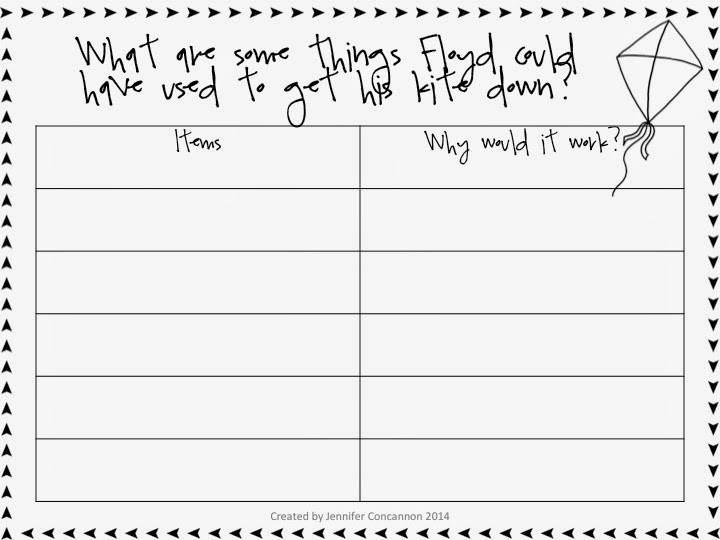 Finally, they will use these last two sheets to start writing their own stories where they have to solve a problem in a unique way! I created many different character sheets. 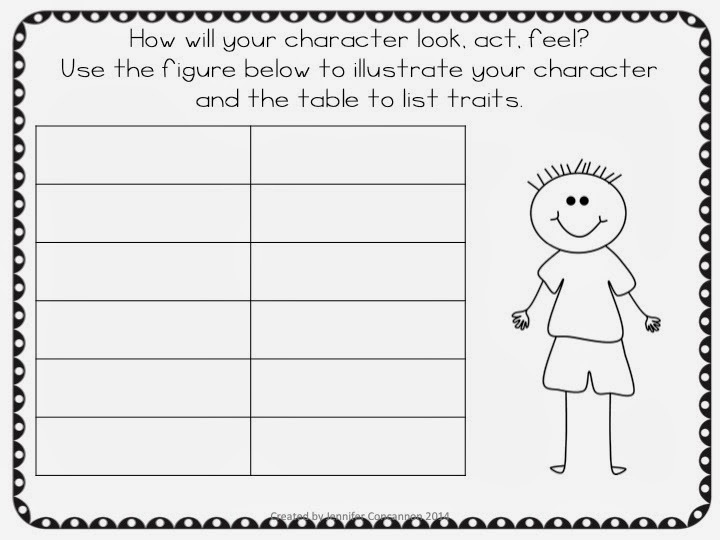 There is a boy character, a girl character, and a blank box for students to draw their own. 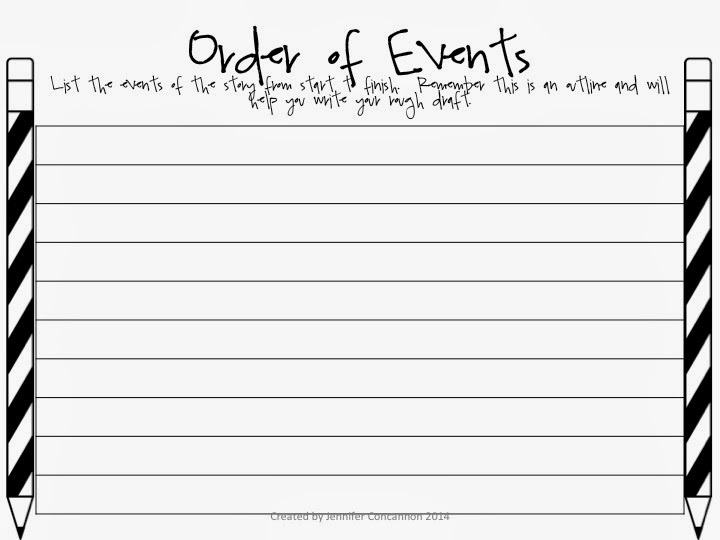 Then they will list the events of their stories. 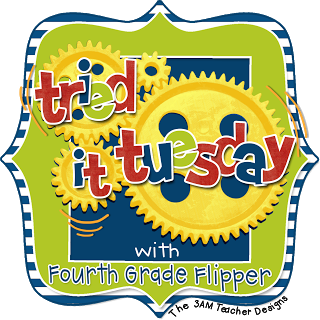 Isn't it fun to "trick" kids into learning? What a great break from testing! Hope your week is going well! I'm going to have to check out this book. I love finding new things to read to the kids! Definitely check it out! It's a fun book, but you can tie it in to the curriculum. Thanks for stopping by! Thanks! I will definitely be celebrating this weekend! Good luck with testing, ours isn't until April 14th. That books looks adorable-can't wait to check it out! Thanks!